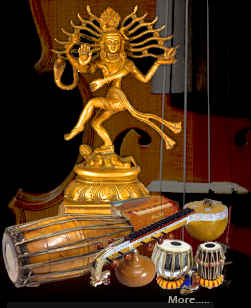 Music of Tamil Nadu has a long tradition and history going back several hundred years. Music is a very important aspect of the culture of the Tamil people. The musical tradition evolved over a period of centuries into the classical Carnatic music and the more popular film music. The tradition of Tamil music goes back to the earliest period of Tamil history. Many poems of the Sangam literature, the classical Tamil literature of the early common era, were set to music. There are various references to this ancient musical tradition found in the ancient Sangam books such as Ettuthokai and Pattupattu. The early narrative poem Cilappatikaram, belonging to the post-Sangam period also mentions various forms of music practiced by the Tamil people. Music was also utilised in the compositions of the Tamil Saiva saints such as Appar, Thirugnana Sambanthar and Manikkavasagar during the Hindu revival period between the sixth and the tenth centuries CE. The musical poet (sandakkavi) Arunagirinathar further embellished the Tamil musical tradition through his compositions of Tamil hymns known as Thiruppugazh.